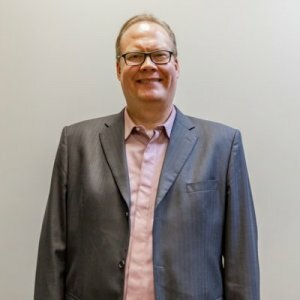 Ask A Eau Claire MARKET EXPERT! DESCRIPTION Large Living Space!Welcome to a gracious entrance with custom doors&hardwood floors.An open & large living/dining room has a floor to ceiling Marble Gas Fireplace, plenty of windows overlooking the interior courtyard with views to Prince Island Park.The kitchen is renovated&updated with hardwood floors, gorgeous cabinetry,granite counters&backsplash,central island with eating area≠w S/S appliances & Hood Fan.Adjacent is a multi purpose room with vaulted ceilings, shelving to the ceiling& a sliding library ladder can easily be used as a family room/office.The master is bright, with a renovated ensuite with O/S walk in shower/bench & w/in closet. Bedroom 2 has good size with closet & adjacent 4 pc bath. All window coverings are new Hunter Douglas.The laundry is self contained with commercial Huebsch W/D.With only 2 units on this floor,2 titled tandem parking stalls close to elevator, fresh paint throughout & Insuite Storage.Priced well. Please See addt'l remarks& special instructions for showings. 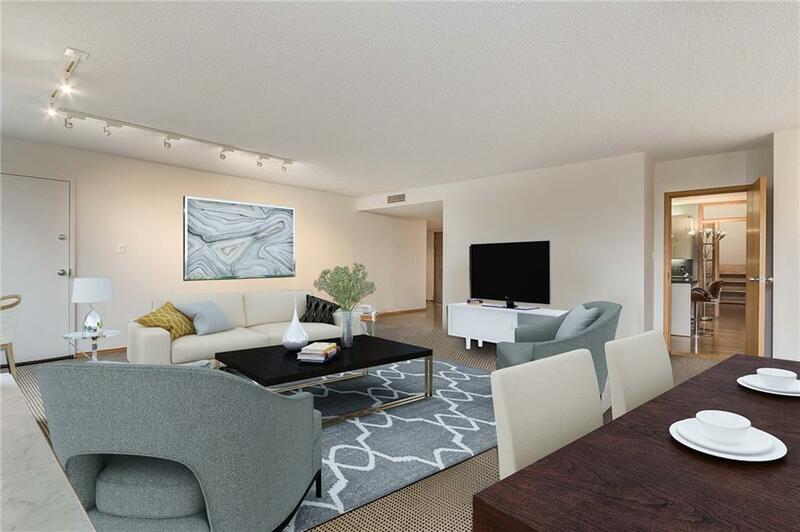 The large in suite storage room is invaluable(When this unit sells, second assigned storage is forfeited and reassigned to the next owner on the waiting list). There is New Engineering Hardwood flooring in hallway and both bedrooms.The HVAC is updated which includes a new motor and chilled water filter. The plumbing in the laundry has been updated along with all the electrical outlets. Storage room is 15'11" x 7'1" and approximately 12-14 ft high ceiling. 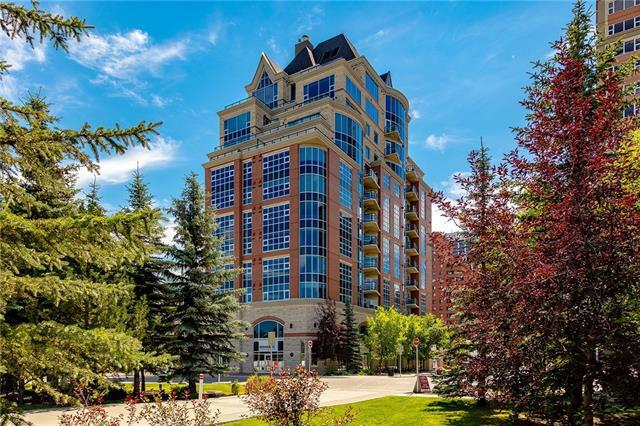 #702b 500 Eau Claire AV Sw, Calgary, Alberta, MLS® C4226009 T2P 3R8 is a Apartment, 2 bedrooms, 2 bathrooms, approximately 2,122 Sq. Ft. Listing price 768,888.00. This property was built in 1981.